Facilities Across Pennsylvania Have Been Equipped to Deliver NFI’s InsideOut Dad® Program to Connect Incarcerated Fathers With Their Children. 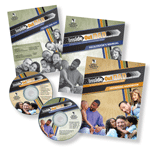 National Fatherhood Initiative (NFI) has trained 37 Pennsylvania Department of Corrections (PA DOC) staff members on how to deliver NFI’s InsideOut Dad® program to incarcerated fathers across Pennsylvania. The training took place at a Training Academy in Elizabethtown, PA on January 15 and 16 following the decision of PA DOC Secretary John Wetzel to standardize InsideOut Dad® at the state’s 24 adult male correctional facilities and 1 boot camp facility. The training equipped treatment specialists, corrections counselors, and chaplains to deliver the classroom-based curriculum to fathers seeking to reconnect with their children. The curriculum covers topics such as family history, what it means to be a man, showing and handling feelings, co-parenting, and much more. Pennsylvania is the 25th U.S. state to “standardize” InsideOut Dad® -- the nation’s only evidence-based program designed specifically for working with incarcerated fathers --across its state correctional facilities. An independent study by Rutgers University qualified InsideOut Dad® as evidence-based, proving its effectiveness in building fathers’ knowledge and confidence in being better fathers, even while incarcerated. "When individuals come to prison, not only does the community suffer, often their children, innocent victims in the situation, pay a toll. This program addresses the need for male offenders to stand up, face their responsibilities, and truly be a man in every sense of the word. Not only do we need this program, society does, as 90% of our men will return to our communities one day," said Secretary Wetzel. SCI-Mahanoy, a facility in Frackville, PA, has been running InsideOut Dad® and was instrumental in arranging for implementation across the entire state. As a result of the training, each of the 25 facilities aims to offer InsideOut Dad® once per quarter as a voluntary program for inmates, with state-mandated eligibility criteria in place for fathers seeking to participate in the program.